What Exactly Is A DAW? 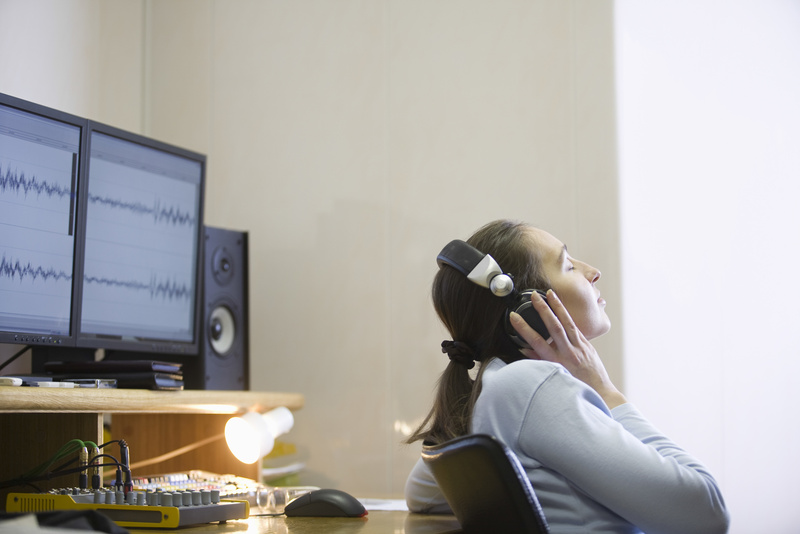 Digital Audio Workstations (DAWs) are the core of today’s music industry. They are what makes song-creation possible and are perhaps the most important part of any studio. When it comes to choosing the best DAW for you, it might seem rather hard in the beginning but trust us, after you’re done with this article you will know for sure what you are looking for as we will guide you through the process of selecting the best DAW as well as show you some of the best ones on the market. 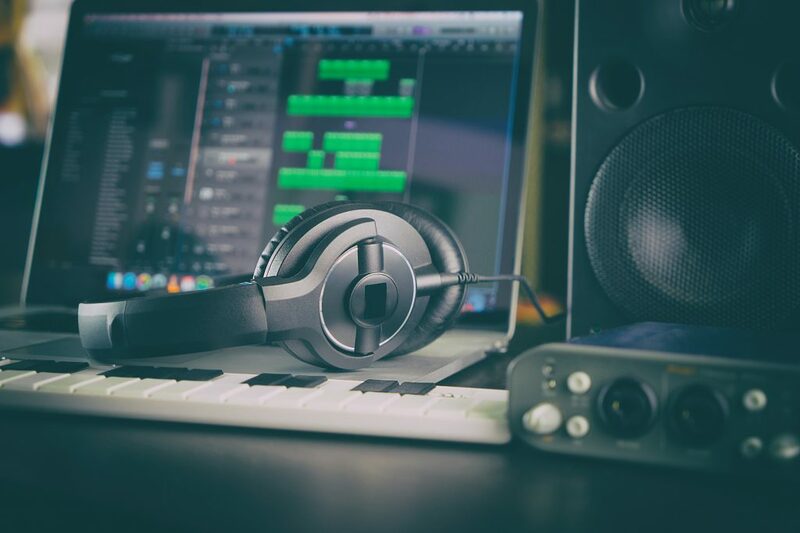 Before we get knees deep into reviewing each and every one of our top choices, let’s take a closer look at the digital audio workstations world. Best DAW – What Exactly Is A DAW? The digital audio workstation is to the musician what the canvas is to the artist. If you want to transfer the music from your head onto the computer this is perhaps the most essential piece of the process. DAWs, in their basic form, are programs that are installed on your computer and then allow you to record music on them from various sources such as instruments, microphones, keyboards, etc. After the recording is done, it lets you export your project into an audio track which can have all sorts of formats such as MP3, WAV, and others. Most DAWs have a layout of a time-based grid that runs from left to right and can have multiple tracks stacked on top of each other (usually seen on the left side). The beauty of these programs is that they can be treated any way you like. You can have a single track on it running, or stack tens of different instrumental and vocal tracks at the same time. At its core, it can be a really simple application to learn about if you want to perform the basic tasks like recording, playing back, cutting and editing tracks, etc. On the other hand, if you want to perform some post-production mastering and editing, it might take you a few months or even years before you are fully aware of what’s going on. Before we move on, here are some home recording tips which you can save for later on. Apart from DAWs generally being divided into Windows and Mac types, there aren’t many differences from program to program. Even so, most producers/musicians are usually well used to a single DAW and only use it. Either way, don’t be afraid if at some point you have to change to another audio workstation as things won’t differ that much. When buying your DAW, you can either get it on a physical copy, delivered at your door, or as a one-time downloadable file. We would suggest the second option as you don’t have to deal with any deliveries, nor wait for the package to arrive. With the downloadable option, you just press a few buttons and it is already installed on your computer, no questions asked. DAWs can be pretty heavy on your computer and can bring even a monster of a PC to its knees. Mainly, it will munch on your RAM, later on it will take on the CPU and last but not least, it will keep your HDD quite busy as well. 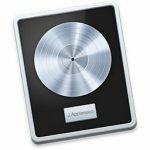 If you are looking to upgrade something in order for the DAW to work better, start with these three. There are some known tricks on the internet to reduce the amount of RAM your DAW takes but if your machine is old this can backfire badly – your DAW can crash and your project will be forever lost. This hurts particularly bad after a long recording/mastering sessions. Trust us on this one. 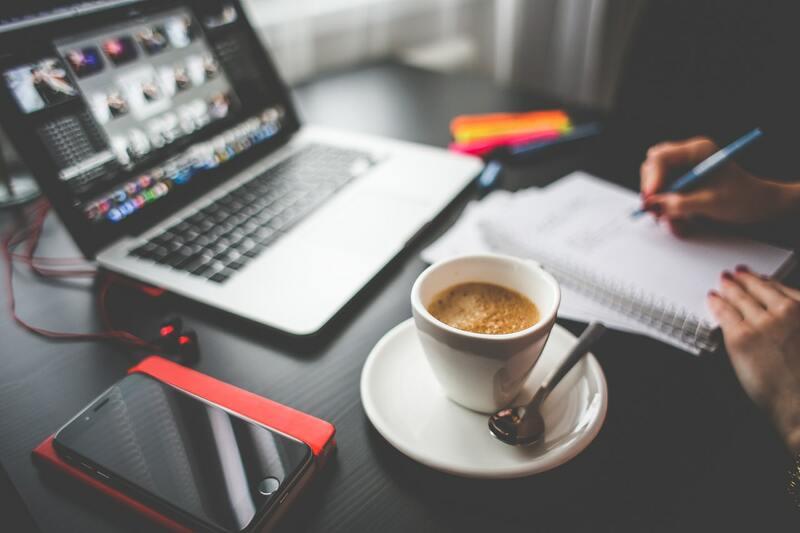 Some audio workstations can be unavailable to you due to the software you are using. Generally, DAWs are divided into ones that work for Mac, ones that work for Windows, the ones that work on both platforms, and some others (like Linux, etc.). Logic Pro, for example, is Mac exclusive, while FL studio is Windows exclusive. We know people who have abandoned all their hardware, and switched to another platform just to be able to use a certain DAW, so if you choose one upon its merits, don’t be too afraid to take this huge step. After all, this will presumably be your workstation for years to come (if not your whole life ahead). This is perhaps the biggest deciding factor, as prices vary a lot here. Most workstations have quite the specter of editions and packages. Some of them come in packages varying from 100 to 1000 dollars. That is an insane price difference for a beginner to choose from. In most cases, the basic editions are great enough to start with. Usually, the more expensive the DAW gets, the more features (such as instruments, effects, plugins, etc.) it includes. When progressing in the world of audio software you will want to use more and more plugins. With some DAWs it might be cheaper if you plan this ahead and buy a larger package from the start, but with other it is best to start slowly and build your way up. You will have to see their detailed price specs in order to determine which will be the best scenario for you. We will try helping you with that in our detailed reviews of some of the mentioned DAWs. What you should check is the compatibility of the desired plugin with your DAW. The most famous plugins fit every workstation, although if you have your mind set on a specific plugin, make sure you check its format and whether your DAW supports it. 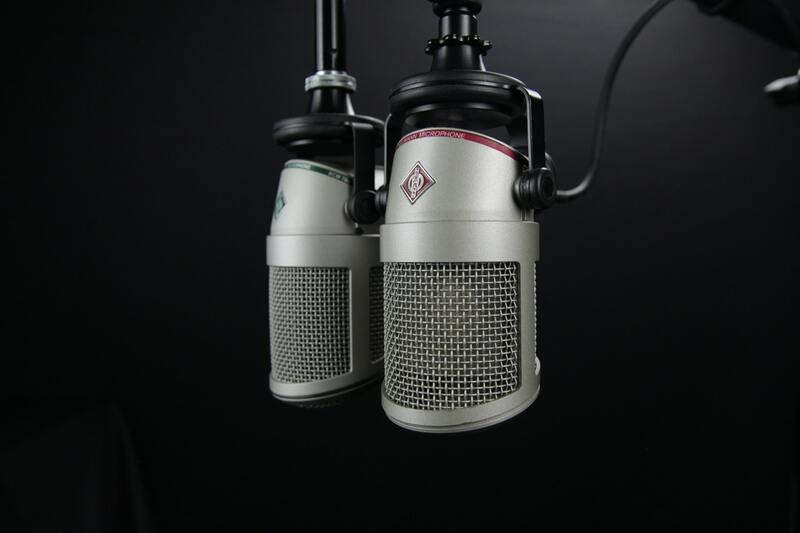 Ultimately, it all narrows down to what you will want to do with your Home Studio. If you want to keep things simple and just stay at home and record, maybe you need to go for some of the cheaper DAWs, and if not, go for an industry standard one like Logic Pro or Studio One. Also, if you haven’t decided yet or want to test out a few of your top choices before moving forward with your purchase, some of the companies allow you to “dip your toes” into their product by giving you a 30-day trial period. You will have some of your features limited, but will at the same time get an idea of what the DAW looks like and how easy it is to work on. Now, let’s get into the fun part of the article and see which are some of the greatest audio workstations in their respective categories. Ableton is, in our opinion, a great DAW to kick things off with. It is relatively cheap, offers great variety in terms of customization and sounds and last but not least – it offers you the best of the two worlds. Which two worlds you wonder? Well, recording and live performance, hence the name. When the creators of Ableton Live were getting ready to release it, they realized that they will cram one more recording program into this already full of recording programs world. This is why they took a step back and decided to redesign their product to work well for all the performing artists too. The ability of Ableton to be just as integral at a live performance as it is in the studio is what sets is aside from its competition. What Makes It Great For You? From the beginning, you will see that the session window is designed to work in columns instead of in rows (in the last few versions). This is a unique feature present only here. The snippets of audio will go down below each other. This might seem weird at first, if you’ve worked on any other DAW, but when you get used to it, you wouldn’t want to change it for anything else. What is really cool about all this, is that whenever you click on two or more audio clips Ableton will automatically quantize it and the clips you selected will sync with one another. That means that everything will play on time and well-matched up, even when clicking on the clips at different times. If this seems confusing to you, you can just go ahead and try out their demo period in which you will be able to play around with anything you like and see if it’s the perfect DAW for you or not. What makes us recommend this DAW is that it is simple, intuitive, revolutionary, relatively cheap, and great for beginners. It will guide you into the world of recording and mastering songs in a very unique way and what’s “worse” is that you might get addicted to after a couple of days using it. All in all, it is at least worth the consideration, or if you are not sure, you can try out the 30-day free trial. In your home studio, the center of it all is the computer with its most vital part – the DAW. 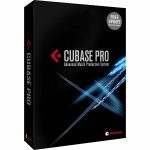 Cubase is one of the pioneers in this world in terms of audio workstations. It is more than 30 years old and as you can imagine, this brings tons of benefits but at the same time some downsides. The major issue here is that there are literally countless editing possibilities (which is great for high-end big studios but not for home enthusiasts). Overall, everything here can be described by a single phrase – everything is straightforward, but just on the surface. Underneath the seamless simplicity of the workstation lies a huge dimension of recording and mastering options along with tons of programmable features, such as: Quadrafuzz, Groove Agent, VariAudio, Reverence and the Multiband Envelope Shaper. Having all this and more will make your life much easier if you decide to devote more time to this. This DAW is one of the founders of this industry and therefore it is built in a way to suit everybody’s needs. No matter if you are just beginning or a weathered professional, this workstation will do whatever you ask of it, as it is one of the most flexible DAWs out there. These days, Apple has become more famous than ever when it comes to video and sound editing. This is perhaps due to the fact that some editing programs (which are super nice) are exclusive to iOS. One of these is Pro Tools, which alongside Logic Pro and Garageband, is the best DAW for your Mac machine. With its 27 years since the creation of the company, the guys over at Pro Tools sure had time to create the perfect Apple DAW. It has been made from scratch to fit the needs of huge recording studios and media production houses. 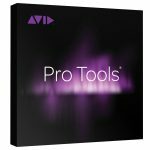 The beauty of this program by Avid, and perhaps it’s biggest advantage over the others is that it’s been tailored to perfection through generations finally resulting in a beautiful mix of both great mixing and editing solutions. The great thing about Pro Tools is, that if you know how to work on it, you are pretty much qualified to work in any professional music studio in the world. So, if that is your end goal, go for this one. It comes with a big price tag, but trust us, it’s more than worth it considering that you are buying the industry’s oldest manufacturer’s product which has been aging quite well over the years. We know that this is a Mac OS exclusive DAW, but we unanimously agreed that it simply is the best of the best. If someday Logic Pro by Apple becomes available for Windows as well, it will undoubtedly be cemented as the king of all DAWs. Since its apple’s product, it has its similarities with their cheaper DAW – Garageband, but it unleashes the latter from all its limitations, ultimately creating the perfect workstation. What your money will be going into here is the gorgeous Apple design with its beautiful and minimalistic aesthetics. Everything is kept clean and simple while the flexibility is kept under the hood. Your Logic will come with some synths and sampled instruments which are studio-grade out of the box. The editing and recording features are pretty much the same as in any other DAW, to be entirely fair, but some Logic Pro fans might say that the MIDI editing options set this workstation apart. Logic Pro really covers all the basics of modern music production and home studio requirements with a style unrivaled by anyone. When using Logic, you’ll have the feeling as if everything is right at the tip of your fingers. It is dead easy to maneuver through it and learn it thoroughly. This is a truly professional-grade audio workstation which fits perfectly in your home studio environment, and at the same time is great for any big studio as well. If you’ve been using Garageband so far and you wanted to leave your chains behind, this is your golden ticket. Even though it is a little pricey, its price tag is totally justified because of the tons of things it comes with. Overall, we think it’s the most well-rounded DAW on today’s market. This is another old-timer and it was called Fruity Loops before, if you recall that name instead. The combination of features, simplicity and value cannot be matched even by its Apple counterparts. In case you were wondering, yes, you can boot this thing on your Mac machine, but you will need an emulator like Bootcamp or Parallels. 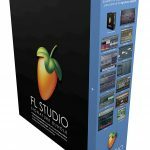 Furthermore, there are some rumors on an FL studio for Mac version but we guess only time will tell. In terms of downsides, the FL studio doesn’t really have a lot. Some people complain about its overall structure (that it feels too rigid). That can be a great advantage for some, especially for a budding producer. One great thing we forgot to mention is that the mixers look like real-life physical mixers. This gives you the much-needed experience for the times when you will be working on the real things. This is a true old all-rounder which does everything right, and then some. For your money, you can get tons of stuff, and if you aren’t satisfied you can always upgrade to the upper package until you get to the point where you have all the plugins and all the downloadable content. Still, if you are bound to your Windows machine, this is perhaps one of the best choices for you. It won’t be a valid article for Apple DAWs if we didn’t include the people’s favorite GarageBand. 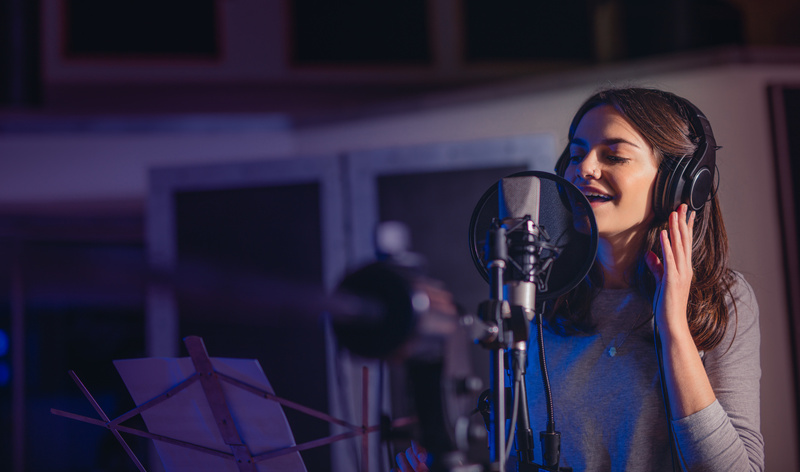 It is a simple DAW, yet it offers just about anything you need for your home recording needs. It comes at a price far lower than anything else – 0 dollars. Yes, you heard us right, it is free since this year (2017). Even so, you won’t be able to enjoy that unless you got a Mac machine. People love this DAW for its pure simplicity (while at the same time hate it for it). If you want to improve/evolve, though, you can take a step further and get Logic Pro. If not, this free alternative will keep your basic needs satisfied. Furthermore, this DAW is fast and simple, which means that it will do the job not only well, but quickly too. Plenty of beats, samples, instruments, etc. This digital audio workstation is ideal for beginners and anyone who simply likes to record his ideas quickly as some sort of musical scribbles. Even if you do not like it, you can simply remove it and move on to Logic Pro, which will blow your mind in terms of flexibility compared to this. Logic Pro and GarageBand are like father and son where the son doesn’t want to become more mature and sophisticated as everyone loves him that way. Remember Winamp? The person who created it also created this beauty right here, more than 10 years ago. It is one of the least advertise DAWs but while being humble, it can compete head to head with the more “advanced” workstations. It has a devoted community which is a great thing, as you have tons to learn from forums and social media groups. With its humble price tag and huge flexibility, if surely ranks on top of our home recording DAWs. What’s even better about this one is that it runs on both Windows and Mac (and Linux if you got the nerves for it). Imagine an application offering you the same features as Cubase, Pro Tools, and the rest of the gang, but at the same time having a price tag far beneath those. This is why Reaper is chosen by some many beginner and advanced home studio enthusiasts. Some artists even use it for live performances and studio recordings. One really cool feature about this DAW is the “Ambisonic Toolkit” plugin which is free. It allows you to work on multi-channel audio work and different VR sounds and to make 360-degree ambisonic designs even if you are new to all this. If you want a program to truly be by your taste, this is the best choice for that. If you are serious about your home studio ambitions, but at the same time can’t really afford paying hundreds and hundreds of dollars for just the DAW, this is more than perfect for you. It offers a huge amount of customization and can do anything you want it to. It can be a little tough to get used to, but once you do, you wouldn’t want to try another. 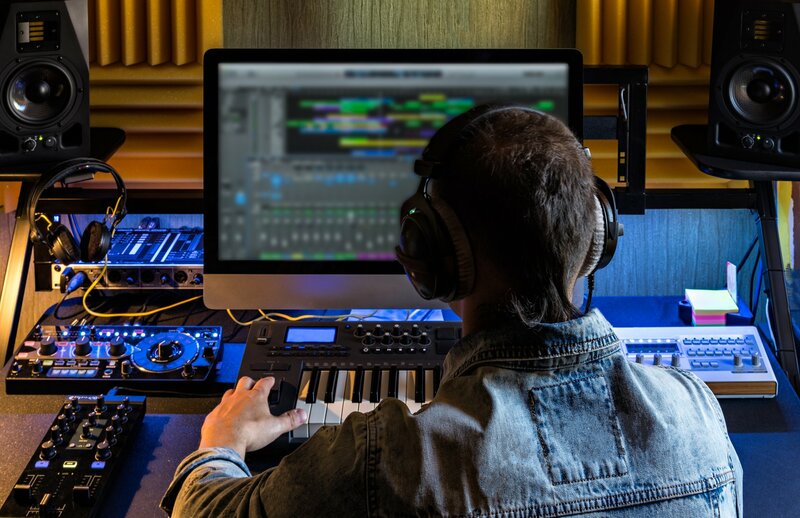 Choosing the right digital Audio Workstation for you can be a grueling task, especially if you aren’t familiar with all the features inside a DAW. By this point, though, you should know what to look for when buying yours and which ones will fulfill your needs the best. If you’re now setting up your home recording studio, you can find out these articles quite helpful as well.